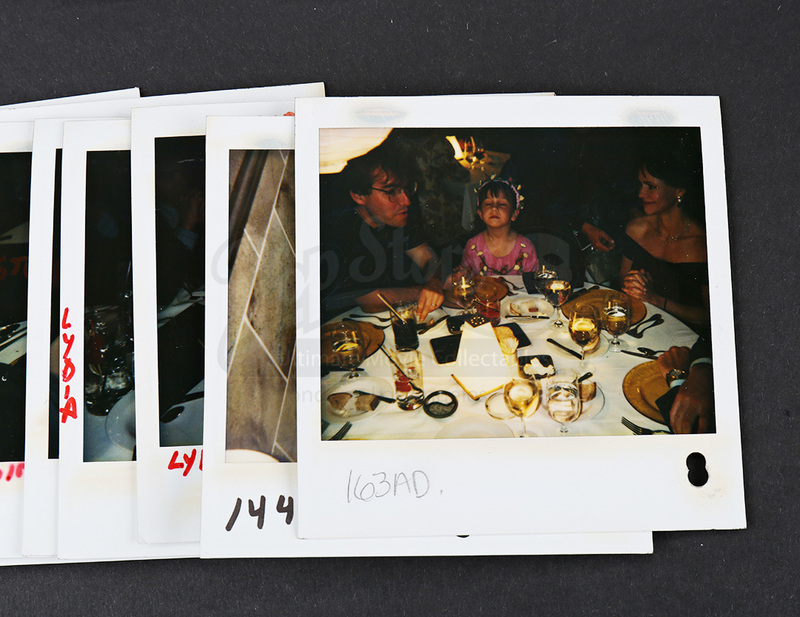 A set of continuity Polaroids from Chris Columbus' family comedy Mrs. Doubtfire. 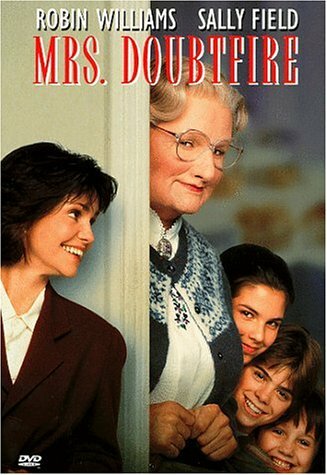 Having lost custody of his children, voice-over actor Daniel Hillard (Robin Williams) dons prosthetic make-up to embody an elderly housekeeper so he can spend time with his kids. 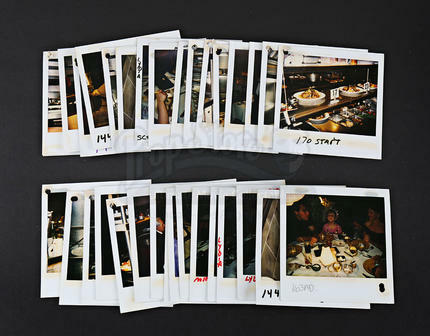 The Polaroid set consists of over 30 photos taken from the scenes at Bridges Restaurant. 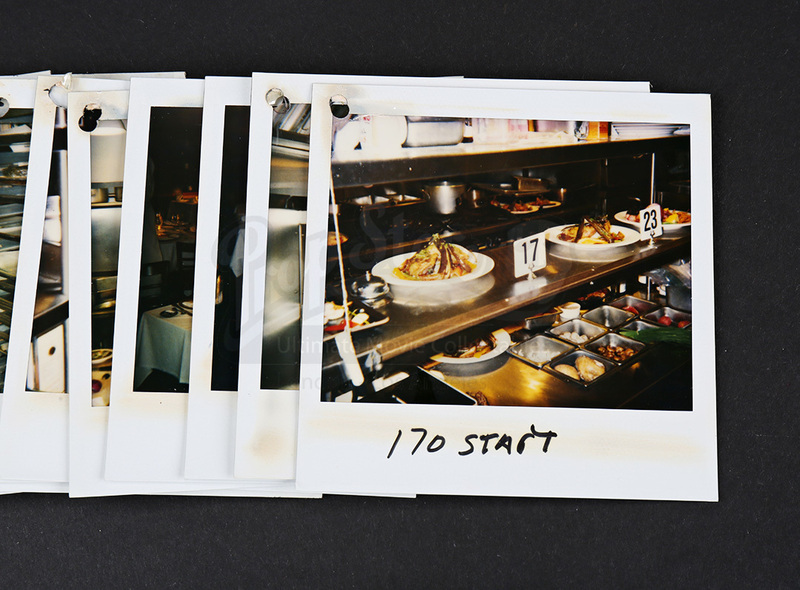 Some of the photos included are the Hillard family's seating arrangement at their table, a shot of the bathroom stall Daniel hides his disguise in and various shots of the restaurant and kitchen. The collection shows some signs of wear from age and storage, but the set remains in overall good condition.